While layering in the winter is a no-brainer, desert evenings and high-elevation pursuits in summer still require solid insulation. 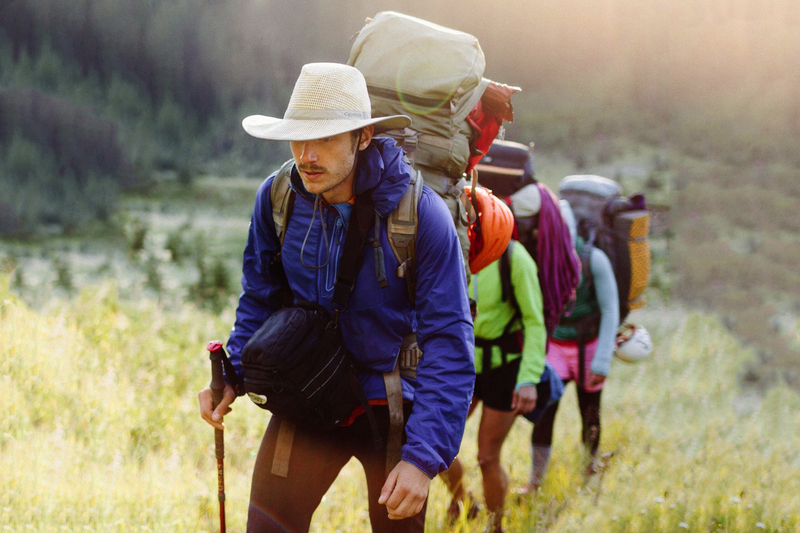 We picked eight warm-weather layers that won’t burden your pack. Hotter months and higher daytime temperature averages don’t tell the whole story. Tuck into a desert canyon after dark or stand on a Rocky Mountain ridgeline at sunrise, and one thing becomes apparent: There are many right places and times during summer for a touch of torso warmth. Our editor took a range of insulating layers into the chill, ready to deploy them for short periods and stow them away quickly. We tested the layers on short breaks from pedaling or paddling, hopping out of the sleeping bag to power up the morning French press, and planet gazing at 2 a.m.
Three categories make the grade for fast heating. 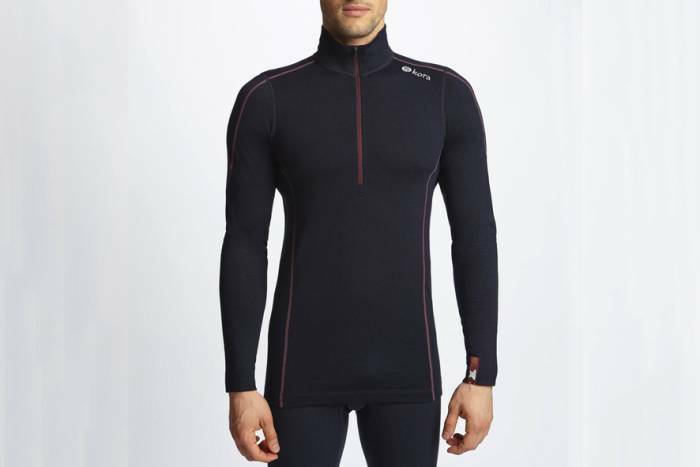 Base layers go over a tee or bare skin for freedom of movement and less bulk when sleeping. Midlayers promise on-and-off agility in cooler settings. And shells take the edge off wind and weather to combat the chills. Five criteria informed the selection of both women’s and men’s pieces, detailed in the next section from lightest to heaviest. Testers never lost sight of the “Goldilocks conundrum” — finding the right balance of warmth, weight, packability, and, of course, price. Individual adventurers will have to weigh their own needs to select the ideal layer. But these represent some of the best warm layering options for higher-temp months. Consider the five criteria below. Fast heating. The goal was to deal with temperatures hovering between freezing and the high 40s with quick results. Pieces that turned into Easy-Bake Ovens with no ability to shed or manage warmth within this range were at a disadvantage. So were those that lagged in heat retention. Weight and packability. It’s easy to add a few ounces to provide reasonable durability or block light wind. But reviewers took note of thicker-shell or non-compressible insulating materials. Only a lower-tier retail price kept bulkier garments in the game. Wearability. We favored outerwear that was easy to put on and take off. For 20 minutes of wear, they needed to go over without bunching up the base layer or T-shirt underneath. Year-round utility. Most of the pieces flow effortlessly into late fall as warmup layers. When worn during active pursuits, winter wear is plausible, even pleasant. Evaluators coveted selections that fit active and adventure travel — where it’s possible to rappel into a New Zealand glacier or send an Andean couloir during summer. Maintenance and durability. This is an insulation category that can’t be sacrificed. Easy fabric staining and restrictive laundering requirements turn the freedom of exploration into annoying, expensive chores. The same applies to fabrics and zippers prone to accelerated wear and premature failure. “Alpha” is an apt designation for this category-creating piece from the German-born brand. 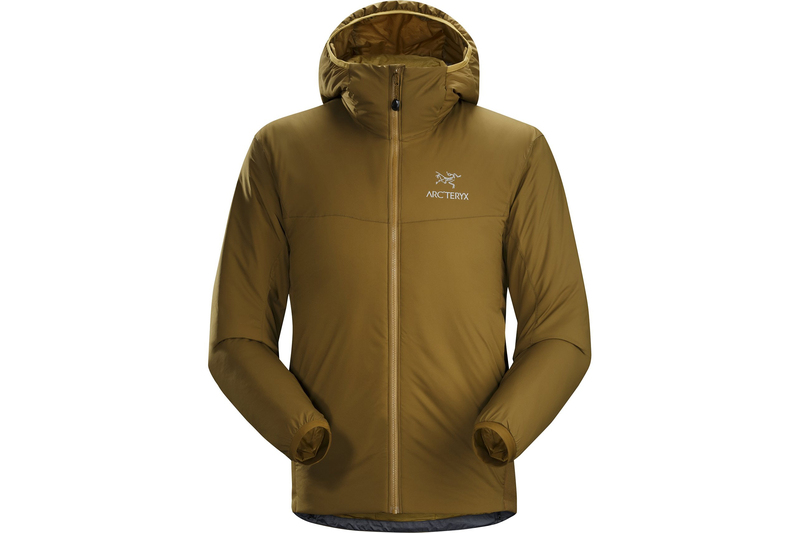 Polartec Alpha anchors the jacket with lofted fibers, breathability, and a protective, fairly windproof outer layer. The fit is trim without ever feeling restrictive. This textile sandwich works wonders when weight is a priority or you need to make room “just in case.” Pertex Quantum wraps the outside with enough structure to allow a tiny hem tensioner and hood toggle. Multisport is the game here, as trail runners pick it for tough or changing conditions. The women’s version weighs in at 5.8 ounces while the men’s tips the scales at 6.3 ounces. Best scenario: Fast-packing and bikepacking, along with backup for on-water pursuits. Top attribute: Weight and packability. 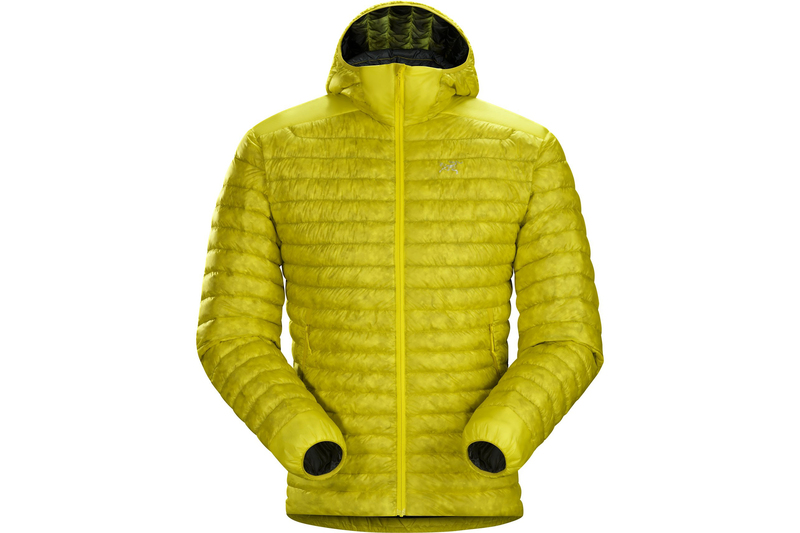 Arc’teryx shows up again with a pure down play in the Cerium SL Hoody. A cloud-like pillow when stuffed, it springs to life for effortless warmth. Dual hem toggles, an adjustable hood, and full-length micro-zipper give the wearer lots of temperature management options. Composite mapping, 850-fill down, and a trimmer fit cut weight. Cerium is a third-pitch insulator that handles some early-morning leading without overheating. The women’s version weighs 7.2 ounces, the men’s 7.6 ounces. These come at a cost but are ready to earn their keep. Best scenario: Camping, trekking, and climbing, including higher-elevation objectives. Top attribute: Use beyond warmer months. Boosting core temperature is automatic with this Polartec Alpha offering from Jackson Hole-based Stio. Pull it easily over a base layer or tee and regulate with five snaps. The Alpine is better suited to a wide range of body types than some of the other options here. And it’s generous without being billowy. Testers had trouble escaping the retro allure of the contrasting chest pocket updated with zipped access (men’s version). 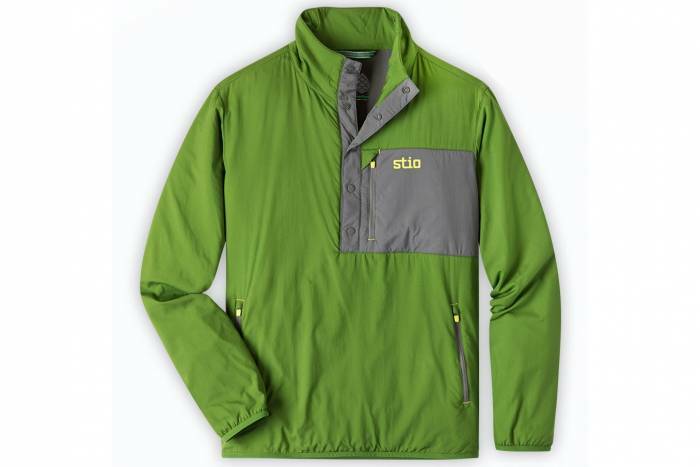 Mini-ripstop fabric and handwarmer pockets more than justified the mid-tier price point. Its immediate warmth permitted the wearer to be the last in the tent and first out in the morning. And it didn’t bake the torso, so it should also serve active pursuits like chopping wood or hooking trout well. 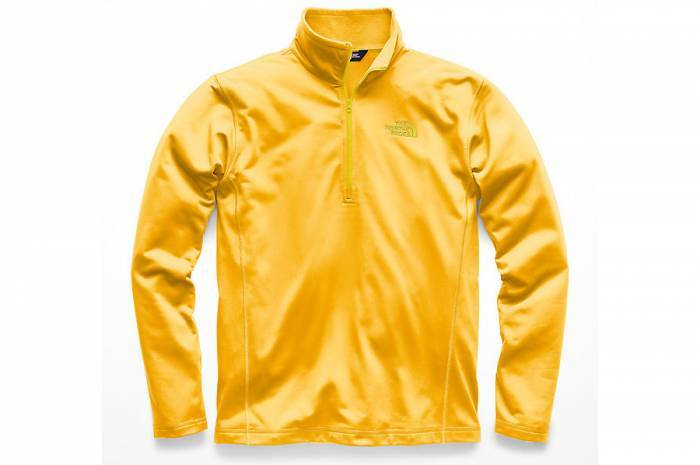 The women’s pullover weighs 8 ounces, the men’s 10 ounces. Best scenario: Weekend, camp, and casual wear well into fall. Top attribute: Fast and manageable heating. Though not as weather- and wind-fighting as many of the selections under evaluation, the Patagonia R1’s continued presence in the outdoors is irrefutable. The number of first ascents and pub crawls logged in this pullover is, for all intents and purposes, infinite. In the same way, the fast-warming attributes of the Polartec Power Grid fabric are expansive when worn as an on-and-off piece during warmer months. While Polygiene combats odor when worn close to the skin, buying R1 on the slightly larger side turns it into a reliable companion nearly anywhere. If outerwear advantages are important, the R1 TechFace Hoody (men’s/women’s) makes a good thing even better at well under 1 pound. The women’s R1 Pullover weighs 9.87 ounces, the men’s 11.9 ounces. Best scenario: Core wardrobe component for all active pursuits. Top attribute: Low maintenance and lasting value. Kora worked its way into the lineup as a category creator, or perhaps cliché crusher. Yak wool represents the old-is-new secret sauce in this zip layer that hovers somewhere between base and mid. Rather than buying it to cling close to the body, sizing up translates the breathability and warmth-to-weight ratio (which exceeds that of merino) into a meaningful midlayer. 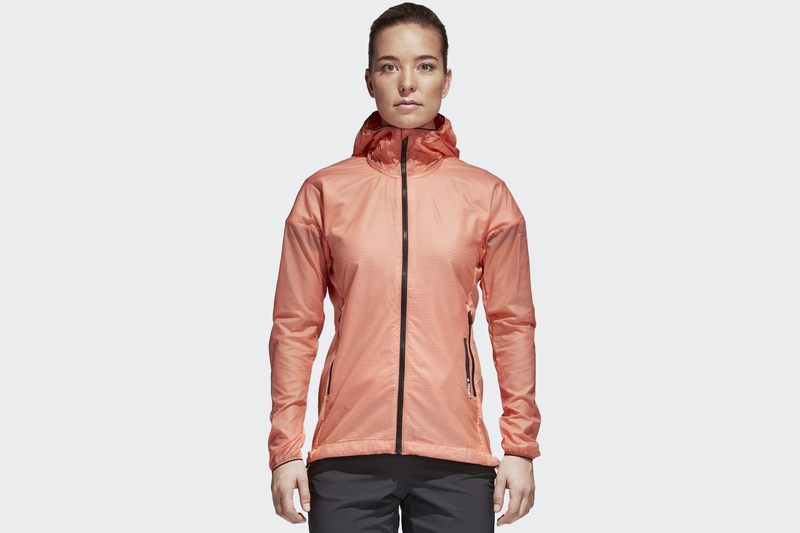 Move from high activity to camp activities smoothly, adding a light windshell if needed. Built-in UPF 40 sun protection helps at higher, cooler elevations. Plus, wool sourced from nomads in the Himalayan Qinghai Tibet plateau means there’s already a story in this garment. Estimated weight is under 10 ounces for the women’s version, 11 ounces for the men’s. Best scenario: Higher elevations with lower overnight temperatures, early alpine starts. No flash. Less cash. Outdoor Research has integrated exceptional textile and component choices into an everyday, everywhere piece. Using fleece rather than other insulating methods accounts for the increase in weight, but it’s an incremental one considering the weather and wear resistance built into Ascendant. Polartec Alpha and Pertex Microlight were smart choices here. The tech side of this jacket may be stealth, but the easy-moving, sensible-fitting design is obvious. Ascendant’s ready for the miles and years ahead, wash after wash. The women’s jacket registers at 10.1 ounces, the men’s at 11.7 ounces. Best scenario: Regular or daily use in all conditions, backcountry exploits in colder months. Top attribute: Easy on and off. In the wind, rain, and black sand sea spray, the Atom sports indomitable construction and reliable evening warmups in damp conditions. This selection is a wise one for adventure travel where paddling, pedaling, peak-bagging, and coastal bonfires get equal time. While trim throughout the body and shoulders, the Atom goes on and off quickly. Hem and hood adjustments further dial in the fit, and zipped pockets are a bonus. In many scenarios, this could well be a “quiver of one” outerwear choice. The women’s Atom weighs 11.6 ounces, the men’s 12.7 ounces. Best scenario: Extended travel that includes coastal and alpine destinations. Of course, the best of the best comes with a premium price tag. But you don’t need to fork over a ton of dough to own a high-quality layer for summer and shoulder seasons. With a full spectrum of colors, this is the fastest-moving Glacier around. 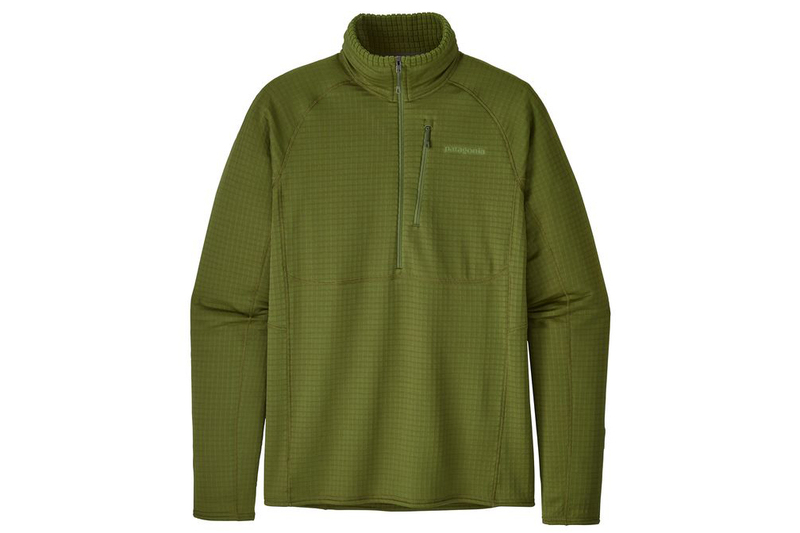 Smooth-faced, 200-weight fleece is the right touch in nearly every urban and wilderness setting. Unlike with many active outdoor styles, The North Face opens the door for athletes up to a men’s size 3XL, with a relaxed fit made even more accessible with a reverse-coil front zipper. Wear it hard, as Glacier cleans up fast in the washer. The biggest sacrifice here is a lack of pockets. 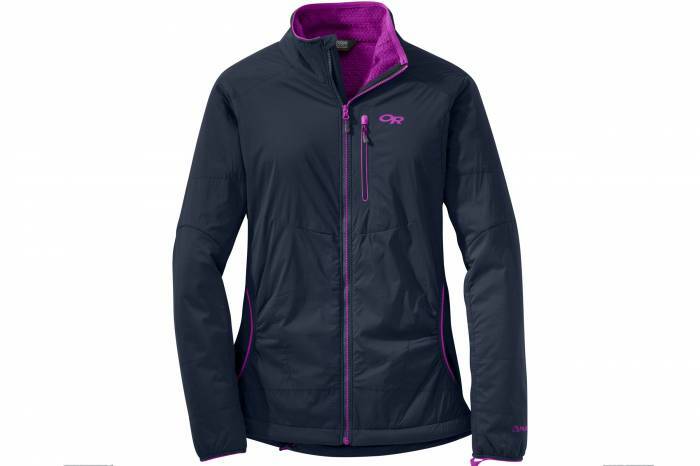 But for the money, Glacier tops the mountain with durable, stretchable anytime warmth. And a wide color selection means your backcountry partner can wear it without looking like your twin. Best scenario: Weekend and travel wear, from campfire to extended road trips.